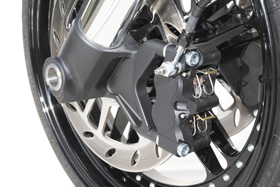 RS Motorcycle Front Fork is a direct bolt-on replacement for the stock Harley front end. 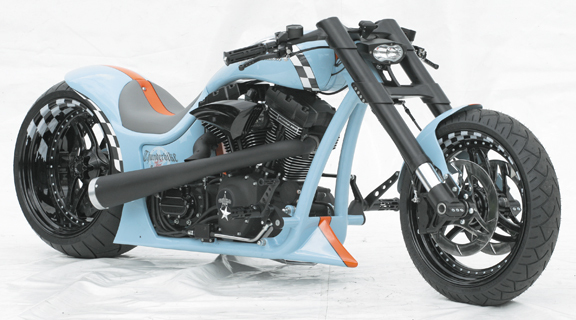 Of course these motorcycle front forks can fit most custom motorcycles using a Softail type frame or a rigid frame. 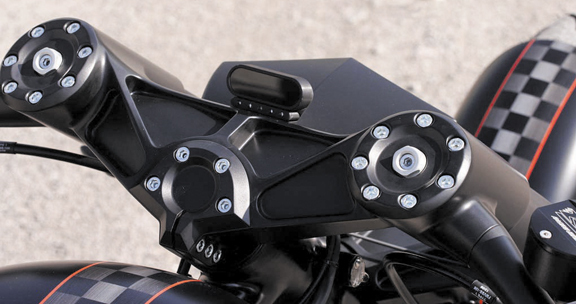 RS Motorcycle Front Forks feature a very high tech racing look. Triple trees are 10.63″ wide (center to center) and come with +4 degrees of built-in rake (they do not come with any other rake). 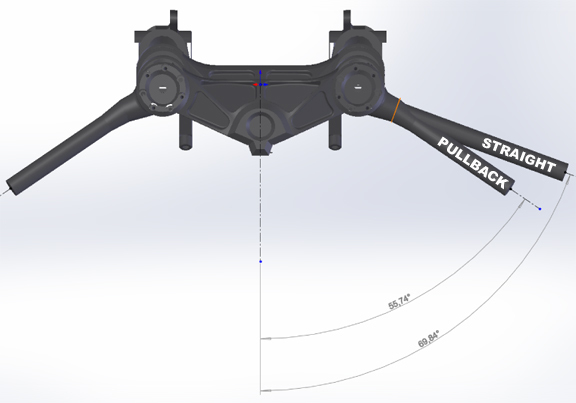 The raked triple trees are machined for rigid mounted handlebars (sold separately), which will mount on the fork tube sides. 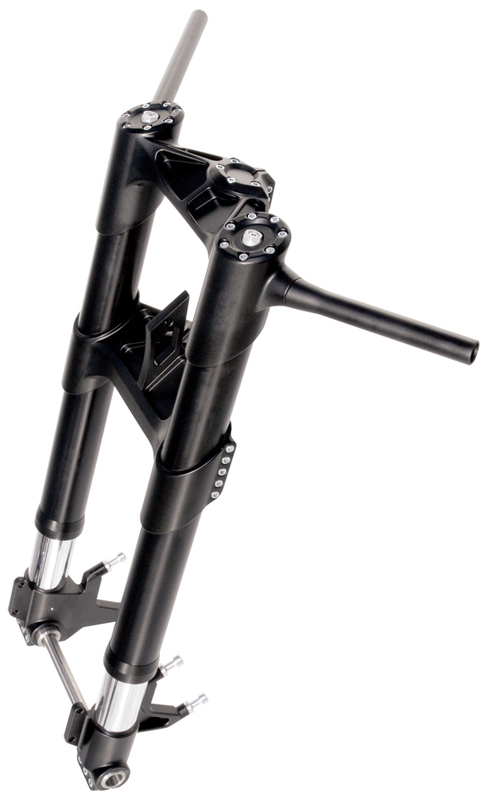 Our RS Motorcycle Front Fork fits most aftermarket and stock frames. Fork legs are available in any length. 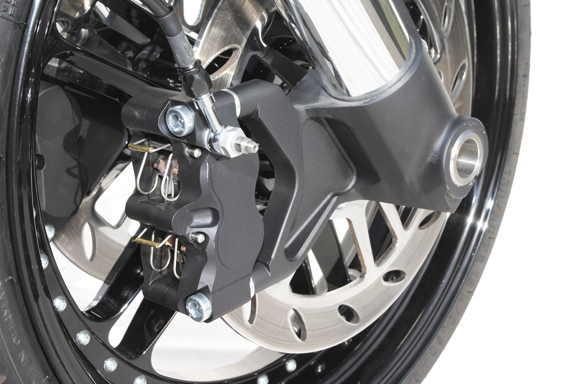 Lower legs can accept only our RS radial brake calipers (sold separately). 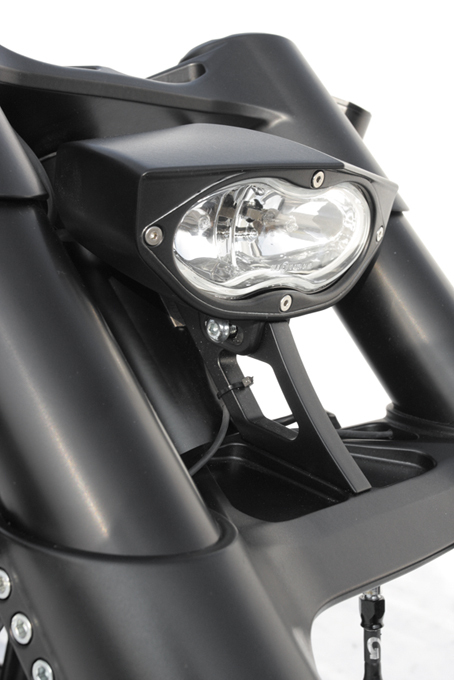 RS Motorcycle Front Fork for Softails looks great alone or combined with our 3D XTRM Custom Motorcycle Headlight, Micro Digital Motorcycle Speedo and RS Motorcycle Hand Controls. Black anodized finish. 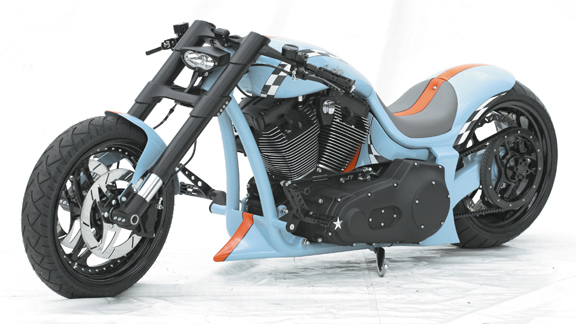 More than a custom front end, a piece of art that will make your bike stand out even in the most prestigious bike shows! 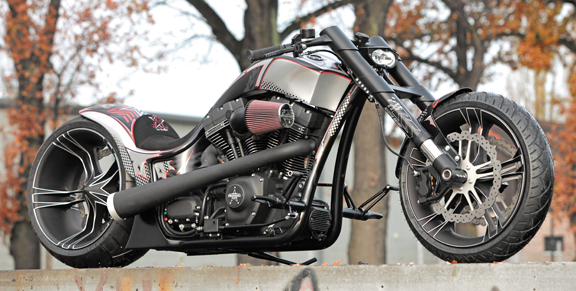 This bike is the best that I ever seen, my blood pressure rises when I saw it. Do you have more pictures of it and approximate price? 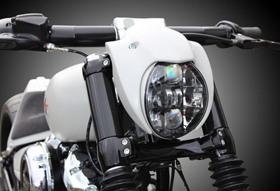 Thank you for your interest in our custom motorcycle parts. Sorry, we do not have other pictures available. If I remember correctly the black and silver custom bike sold for aprrox $85,000. The baby blue one was a little cheaper because of the different wheels. 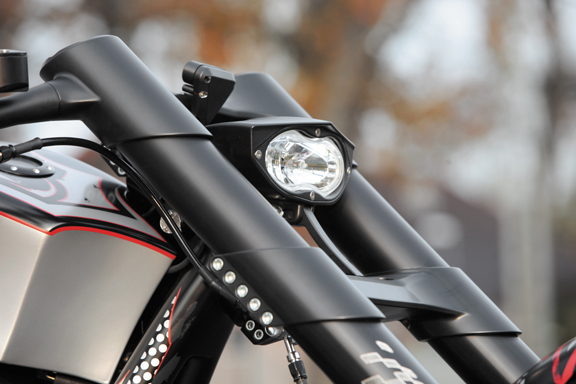 Thank you Lorenzo, I like this front forks wth stearing integrated, it gives bike the best look, . arm and put 280-300mm tire on it. I prefer Ducati style as those bikes on top. Can you give me an idea who can make this order and and how much that will cost? Haw much gonna be the wheels – same as on black/silver on top of the picture? Thank you for your interest in Eurocomponents’ motorcycle custom parts. 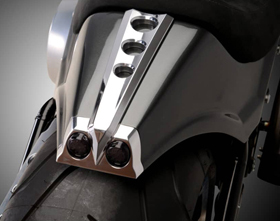 Sorry, but the RS Motorcycle Front Fork and our 3D Motorcycle Wheels are not available for Yamaha models, only for Harley’s or custom bikes built with Harley type components. 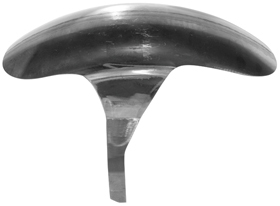 Hi, may I enquire the price of this RS fork for harley soft tail? Thank you for your interest in Eurocomponents’ motorcycle front forks. To get pricing, just click on the “BUY NOW” link above the pictures. 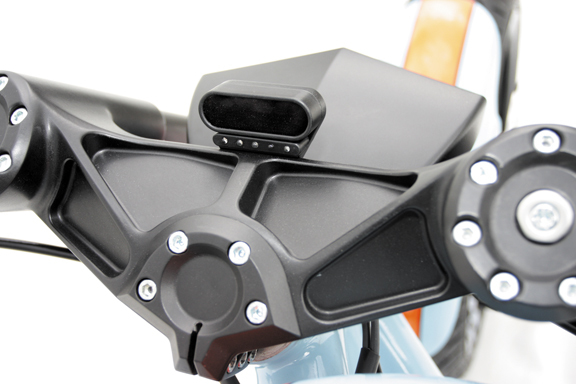 any possible way to fit on a Harley 48 Sportster? I know it says softail, but if there’s a will there’s a way, maybe? 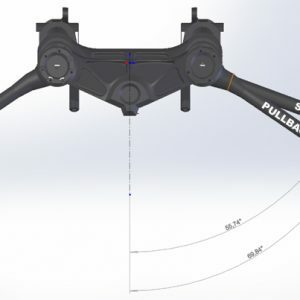 The only way to mount our RS Front Fork on a Sportster is to cut off the frame neck on you motorcycle and weld a Softail neck to replace it. The total for the RS fork + other parts you mentioned is USD 8412.11. Please note this does not include hand and foot controls, since you did not specify which ones you want. Delivery time is 5/6 weeks from date of order / 50% deposit. Please note that for all Int’l orders the only form of payment accepted is bank wire transfer (no Int’l credit cards or PayPal).